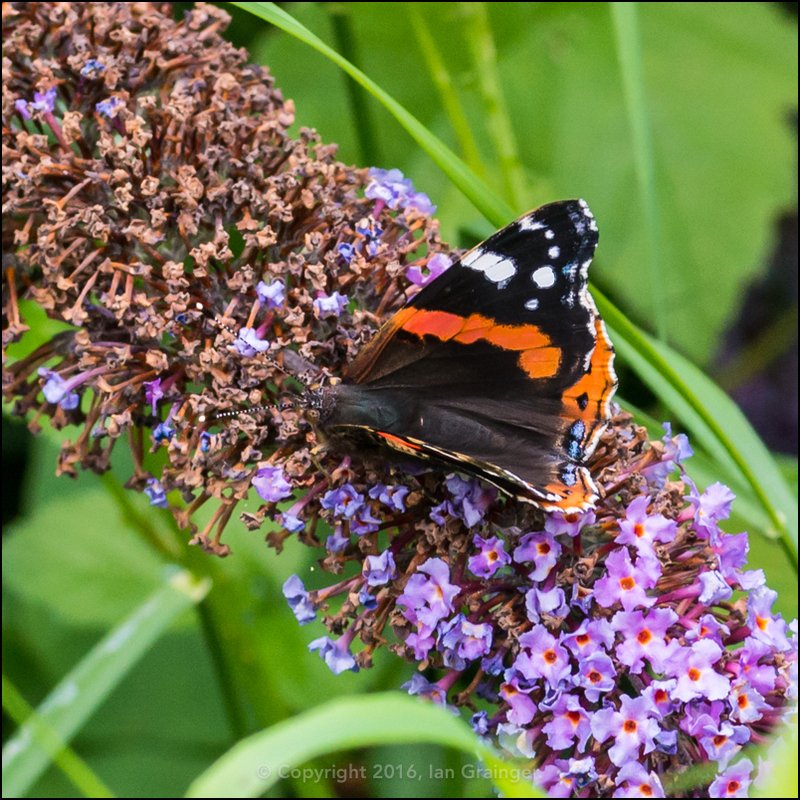 The heatwave I talked about last week continued for most of this week, and brought with it a whole host of friendly butterflies. 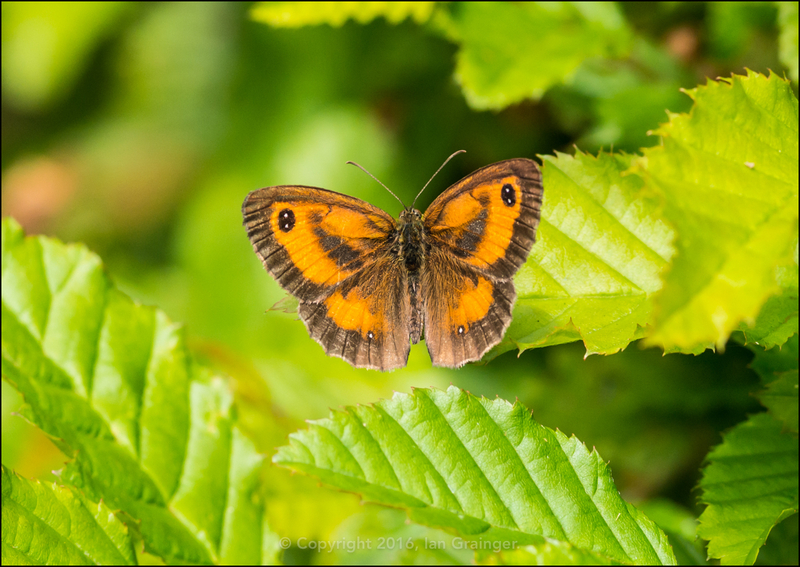 This Gatekeeper (Pyronia tithonus) was one of many fluttering around the garden at the weekend, and was very patient with me as I followed it around, snapping it from various angles. They don't sit with their wings wide open for long, so I was quite pleased to grab this overhead shot as it settled in a bush. 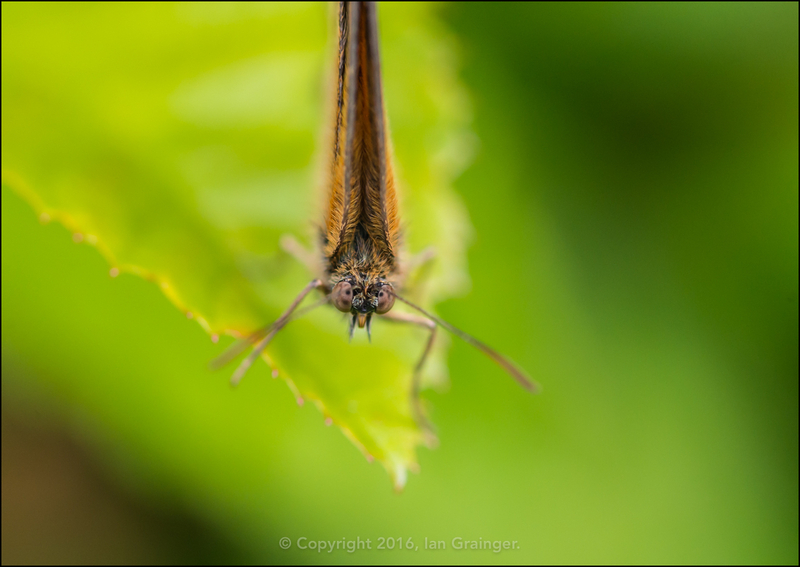 I also managed to grab an underwing shot of the same butterfly as it searched for the best place in the bush to spend the morning warming up. Once I was happy I had the shots I wanted of the Gatekeeper, I went off in search of new quarries. 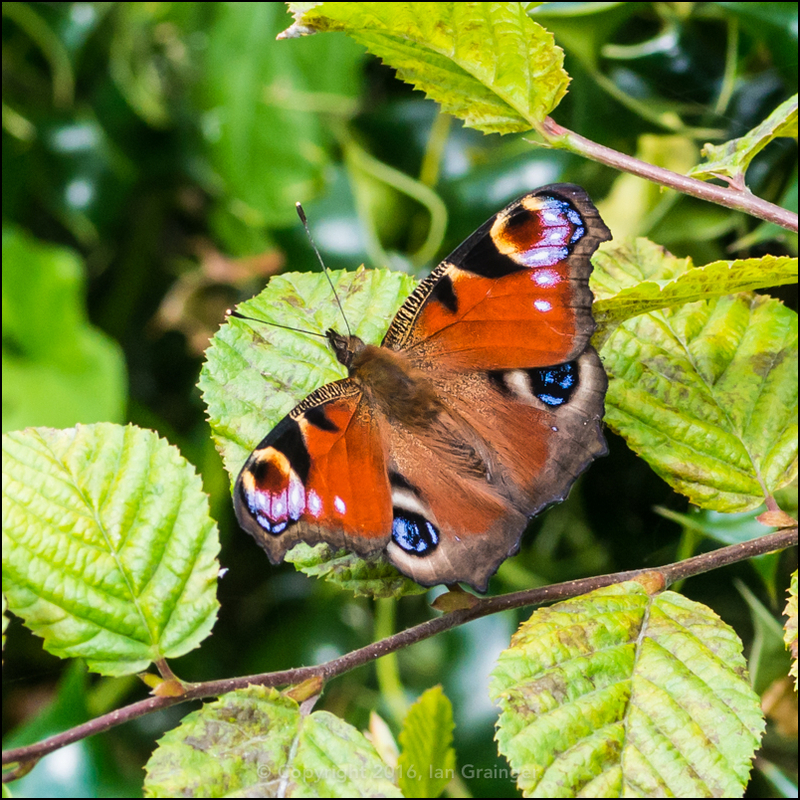 The Peacock (Aglais io) butterfly is probably the most colourful of the UK's butterflies, and is definitely my favourite. 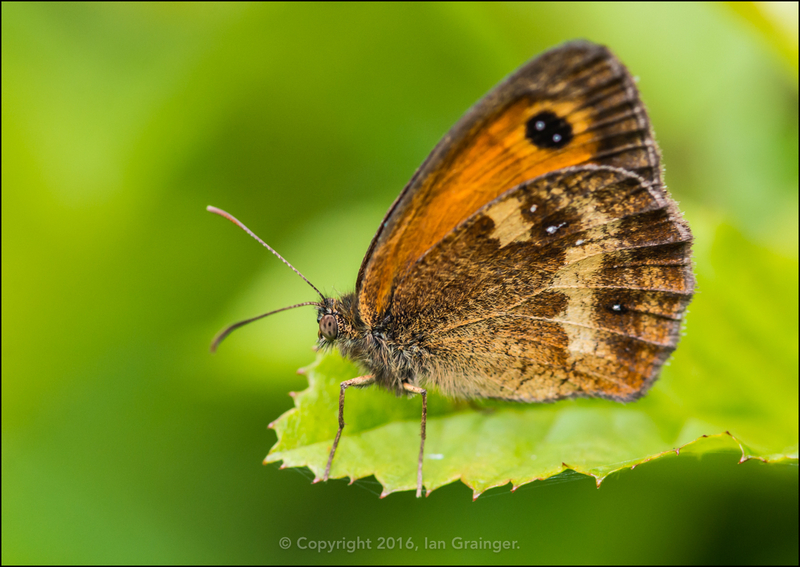 I don't often see them, and when I do, they don't seem to hang around for long, so I was over the moon to grab this shot as it settled in the same bush as the Gatekeeper! 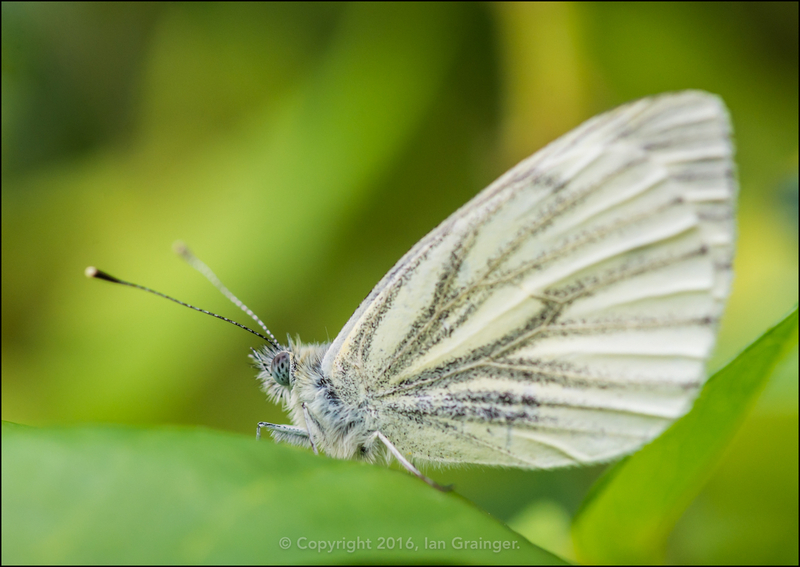 Like last week, there were plenty of Green-veined White (Pieris napi) butterflies making their way around the garden in search of mates. 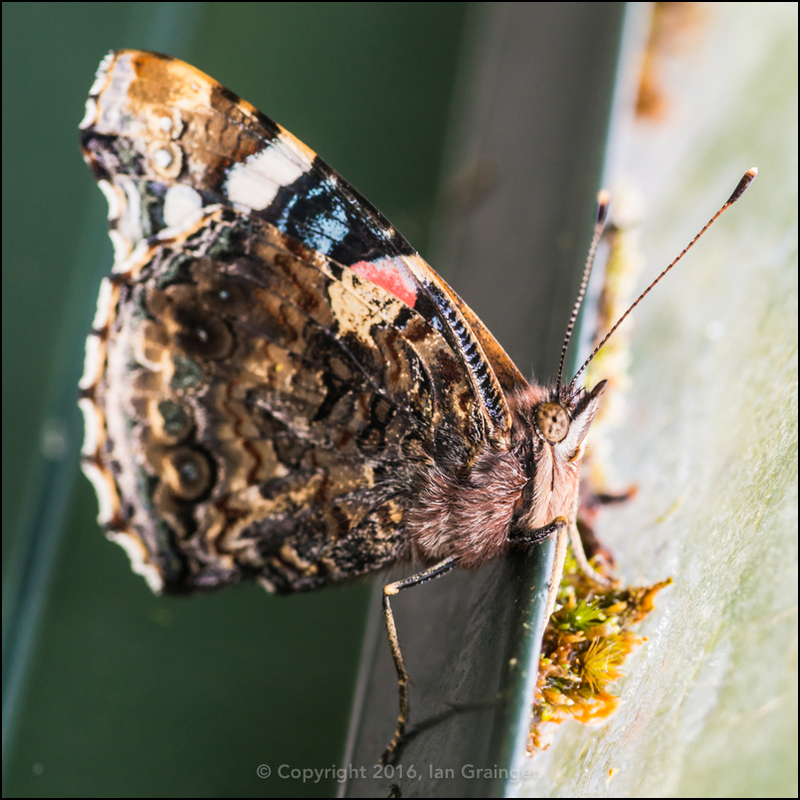 I found this Red Admiral (Vanessa atalanta) seemingly trapped in the greenhouse, but when I eventually managed to coax it out, it flew straight back in there! 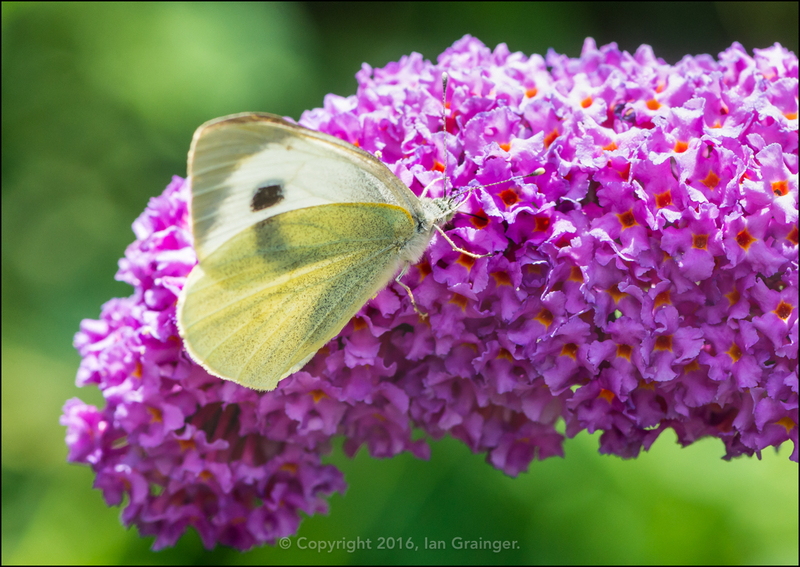 ...like this Large White (Pieris brassicae), who seemed to have picked the perfect flower to alight onto. 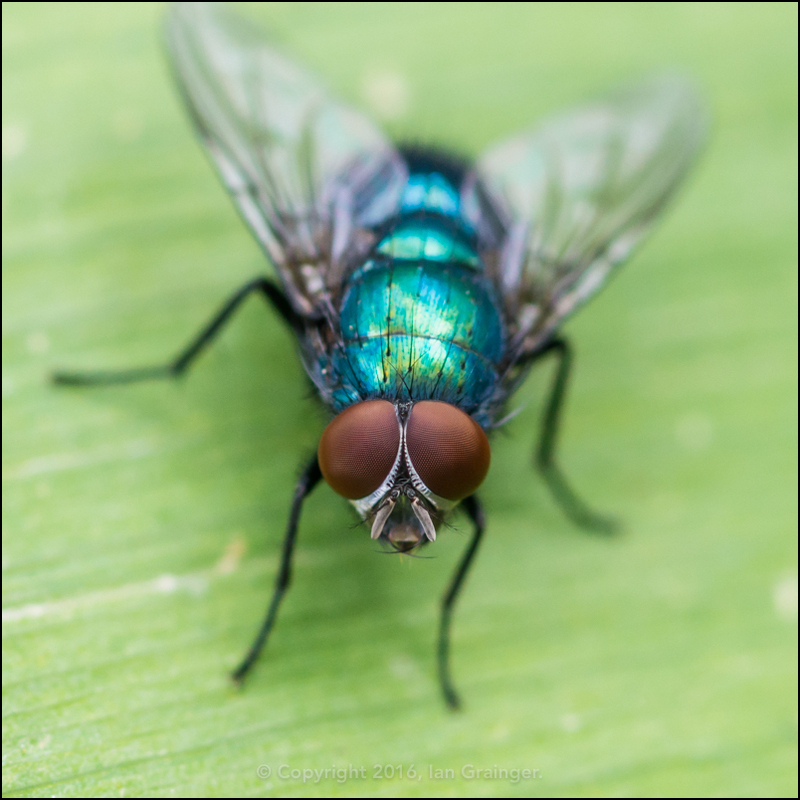 Other than butterflies, there were plenty of other insects buzzing around the garden, mostly Bees, Hoverfliles, Wasps and Flies, like this Greenbottle (Lucilia caesar). With insect activity at a high for the year, there were also plenty of birds. 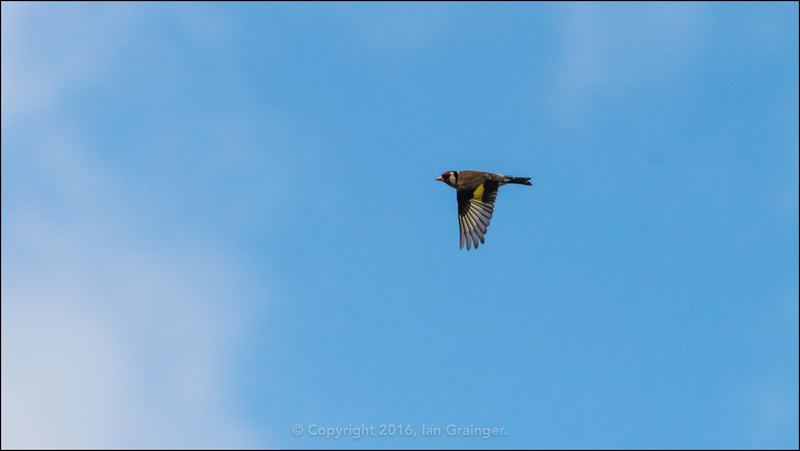 As always, the Goldfinch (Carduelis carduelis) were flying from treetop to treetop enjoying the blue skies. 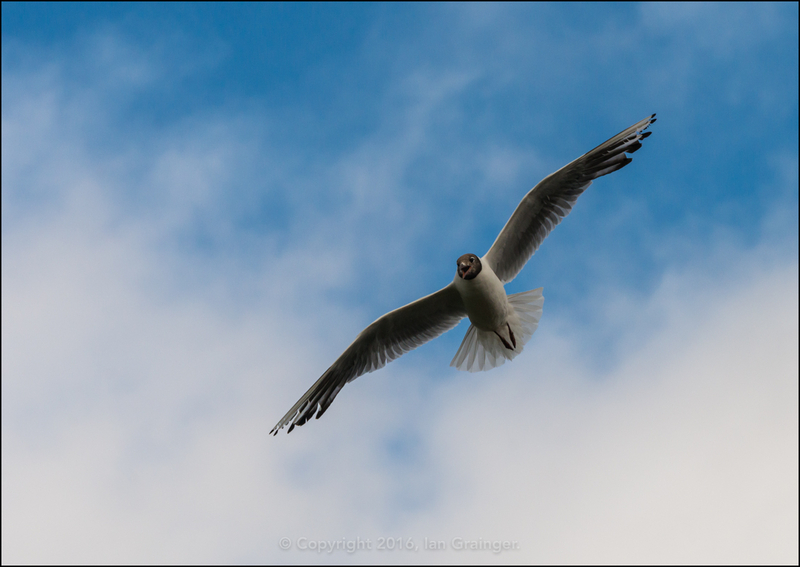 Not so much after insects as bread scattered on the lawn were the noisy Black Headed Gulls (Chroicocephalus ridibundus), with this one intent on waking up the whole street with its squawks! 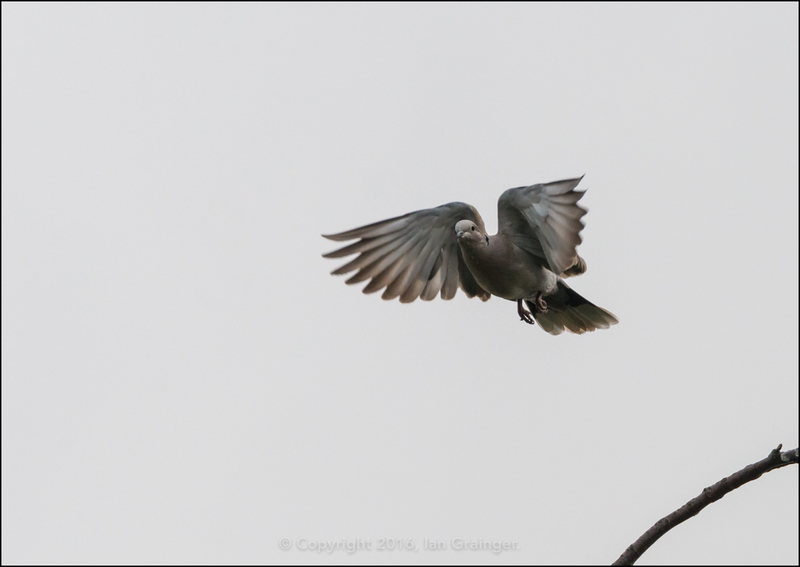 Another noisy neighbour was this Collared Dove (Streptopelia decaocto), who seemed to be missing their usual mate. 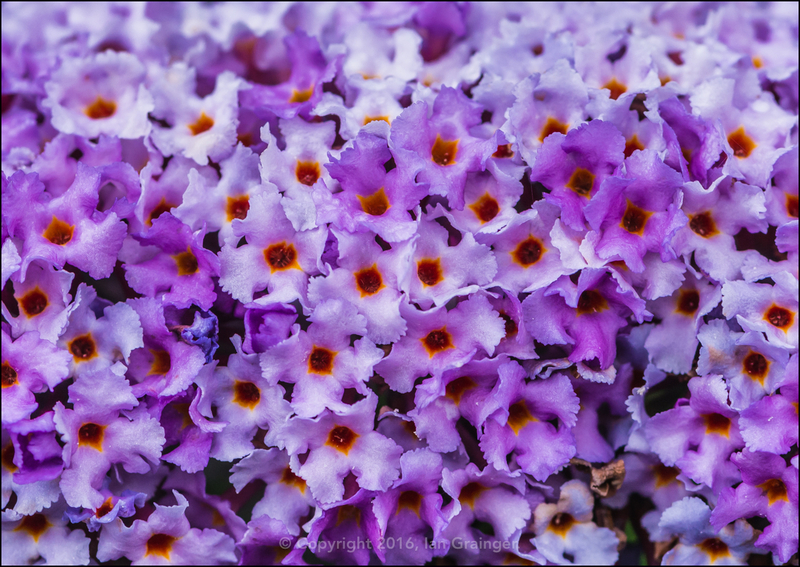 As already seen, the Butterfly Bush was doing its job attracting the butterflies to dad's garden, and when you see the structure of the flowers in close-up, you can understand why. 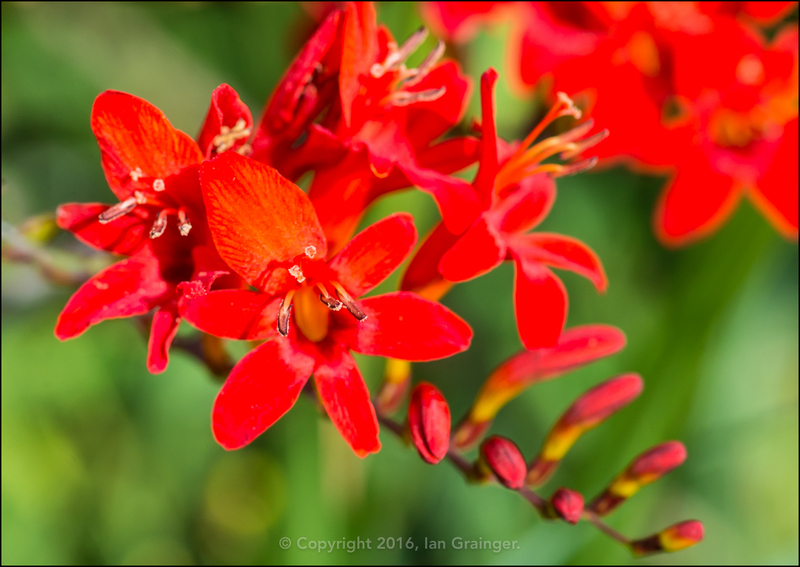 Another insect attractor were the open flowers of this Crocosmia 'Lucifer', with Hoverflies being its top visitor. 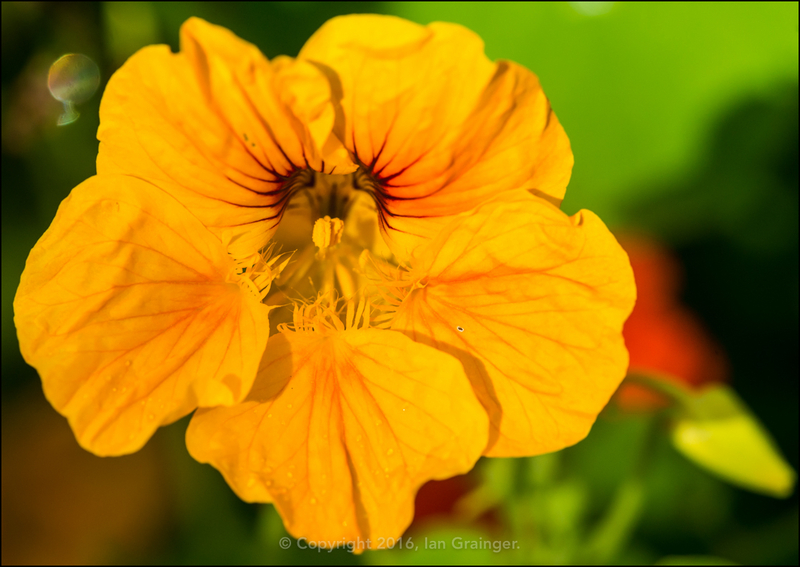 The Nasturtium's were the favourite of the Bumblebees (Bombus), while their leaves will soon become perfect for Small and Large White butterflies to deposit their eggs. 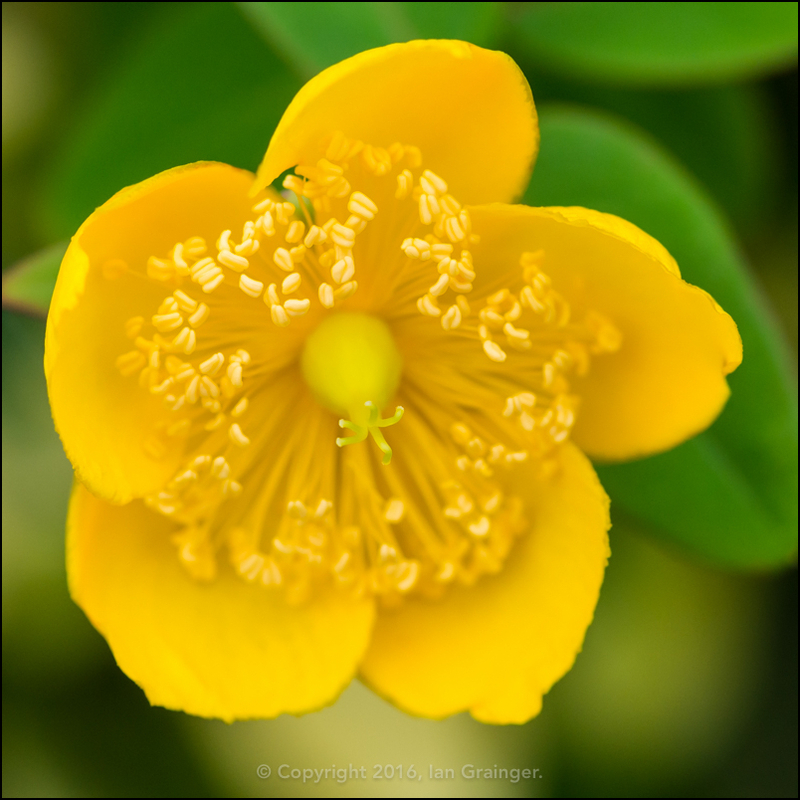 ...while the Hypericum was just finishing off its display of large yellow blooms for the season. 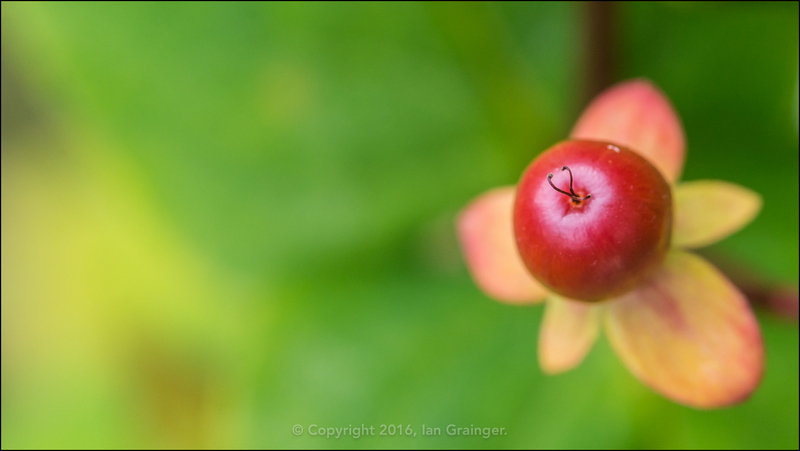 Another type of Hypericum, the Tutsan (Hypericum androsaemum) bush had already started to set seed in its bright red coloured berries. 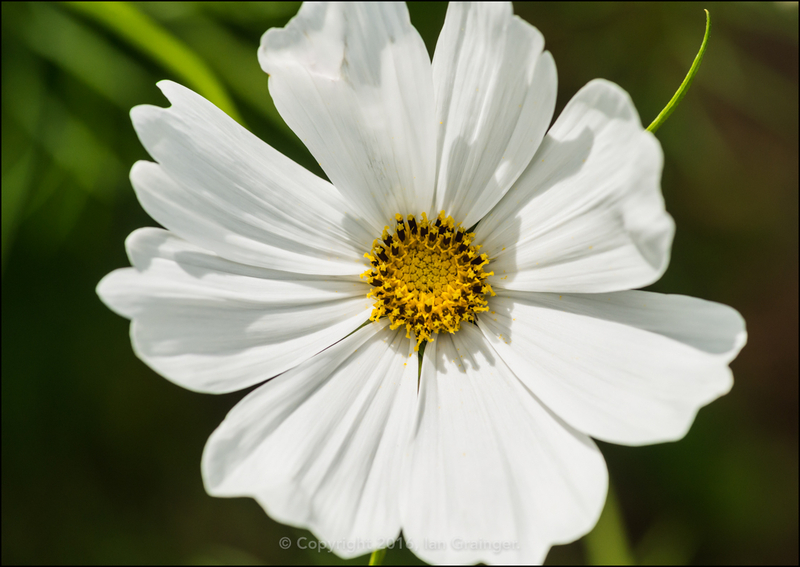 The white Cosmos were looking splendid, and at nearly four feet high were adding some good height into the borders. However, there was one puzzle! 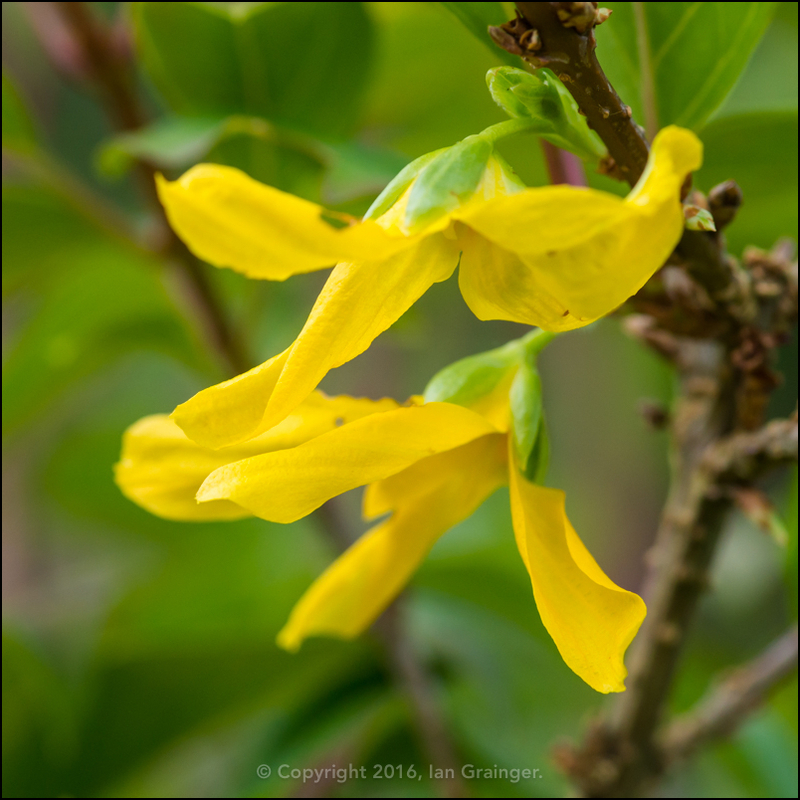 The Forsythia, a bush that normally flowered - and did flower - in the spring, had decided to have another go. This is something I've never seen before, but was a welcome enough sight. 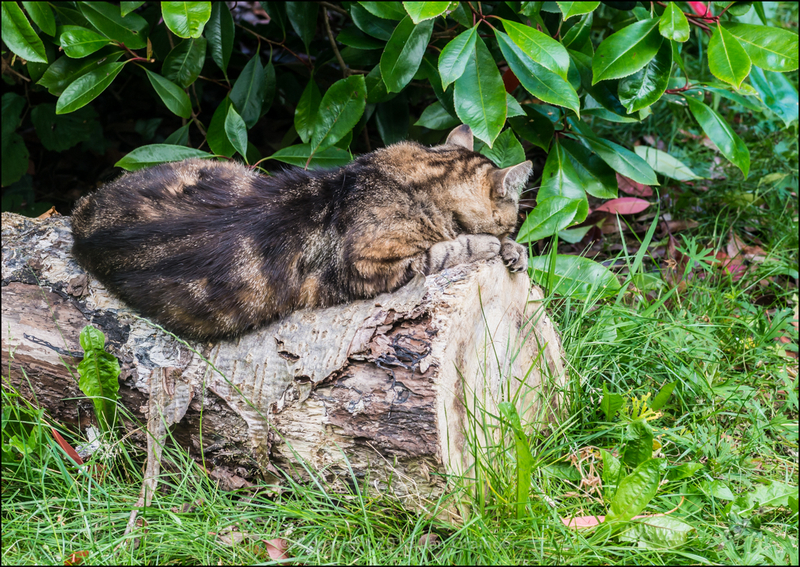 It was another hot day when I took all of the images above, and once again my little photo companion found it far too hot to trail after me, so he decided to stretch out and have a sleep on this garden log. 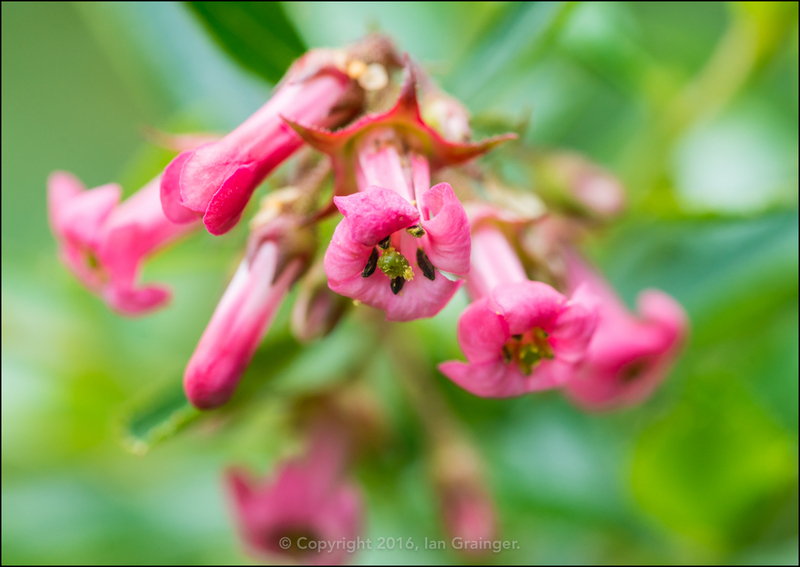 Meanwhile, as the weather cooled down a bit at the start of this week, the flowers in my garden had really benefited from the hot spell. 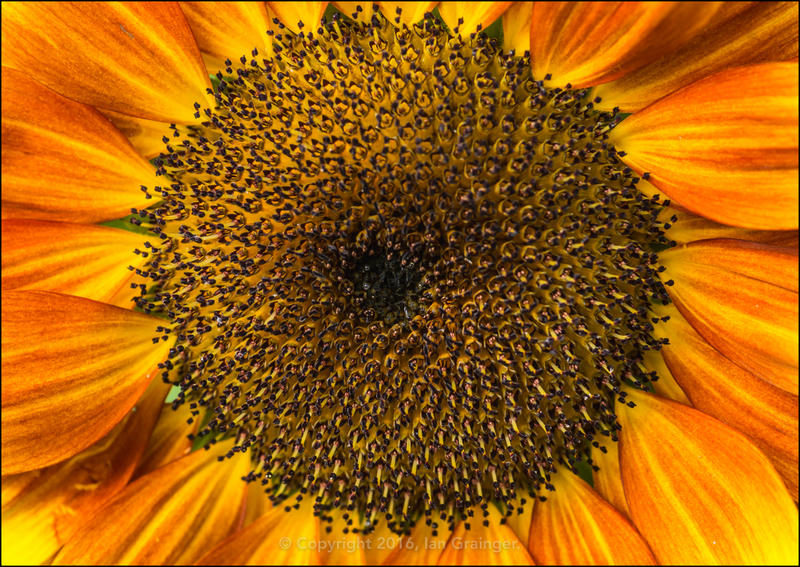 The Sunflowers (Helianthus) were very much at home in the sun. 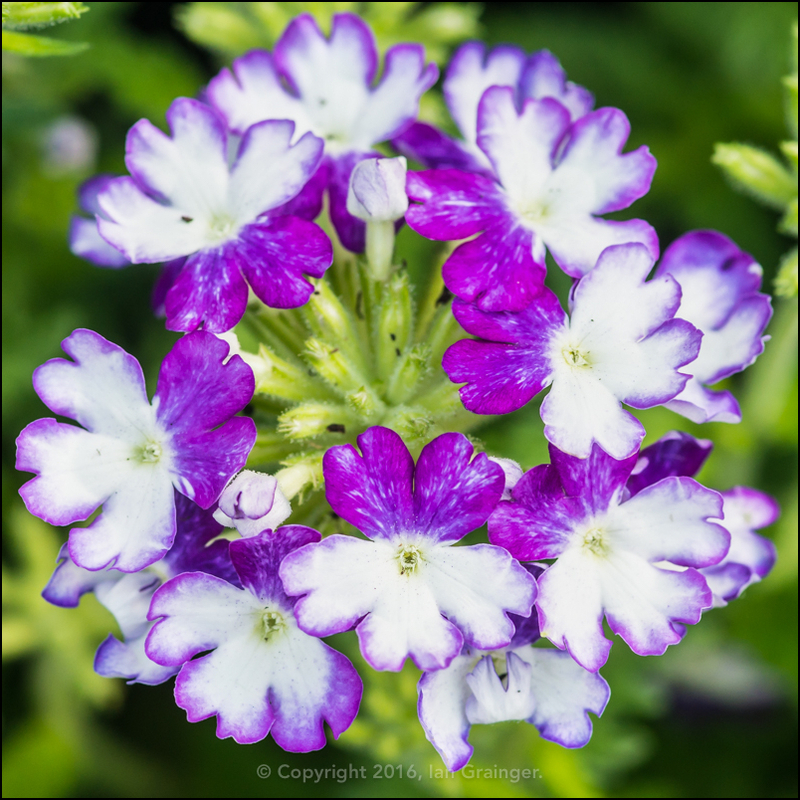 As was a new plant to my garden, this Verbena 'Wicked Cool Blue' burst into colour, although its blooms look more purple than blue to me! 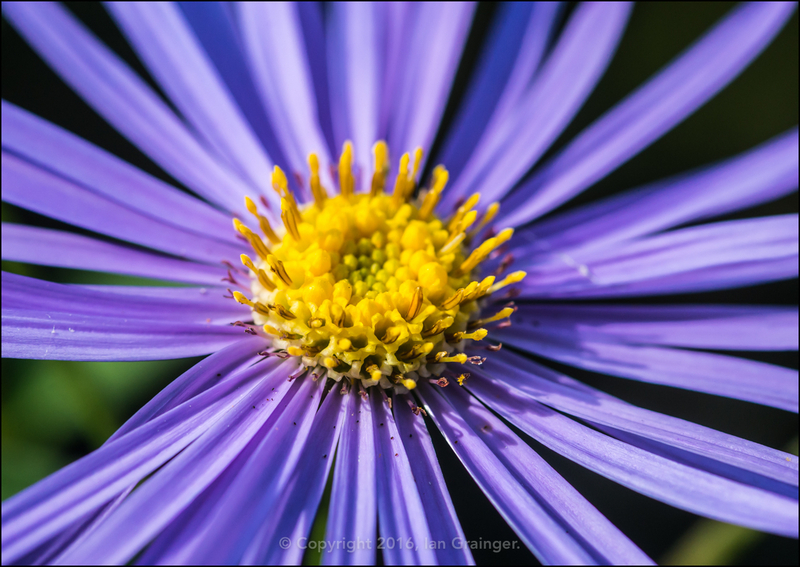 A returning favourite, that I showed flower buds of last week, is my Aster 'Frikartii Monch'. 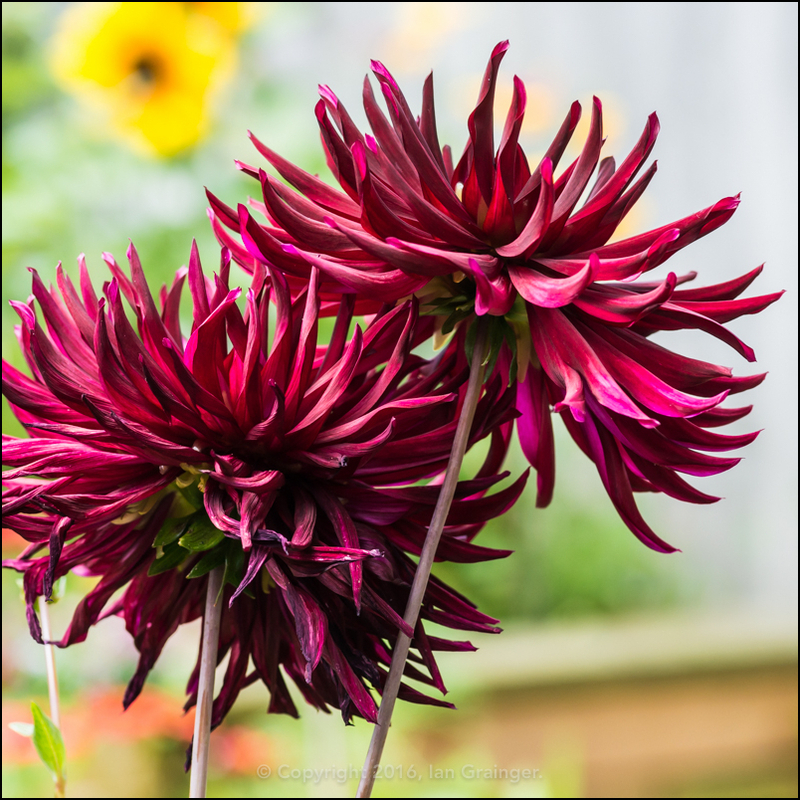 Last year this kept on flowering until the first frosts, and I'm hoping for similar this year. 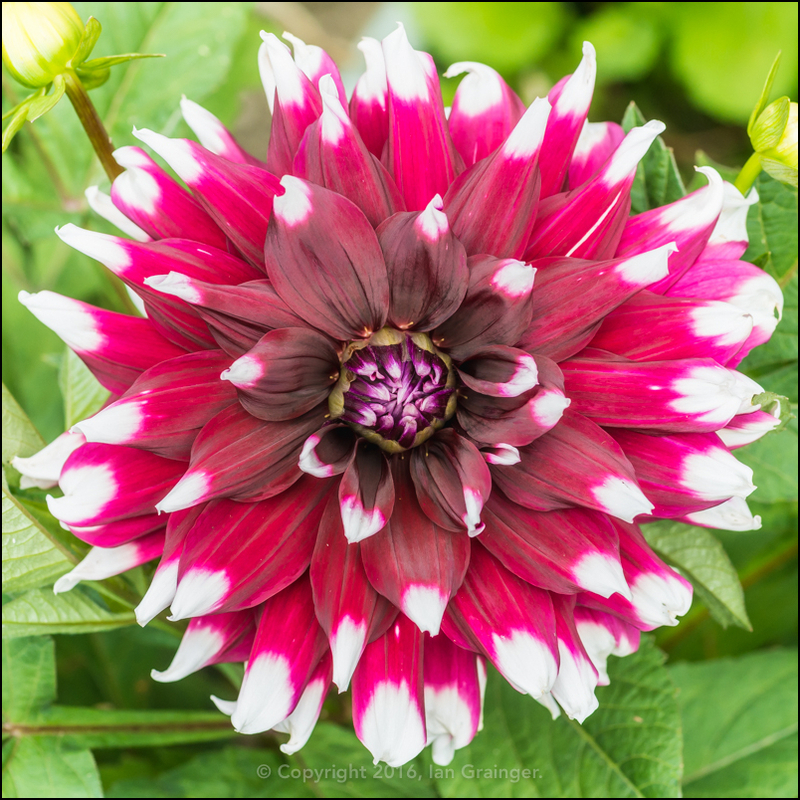 ...and secondly from this Dahlia 'Gallery Pablo' plant, which is equally as stunning! 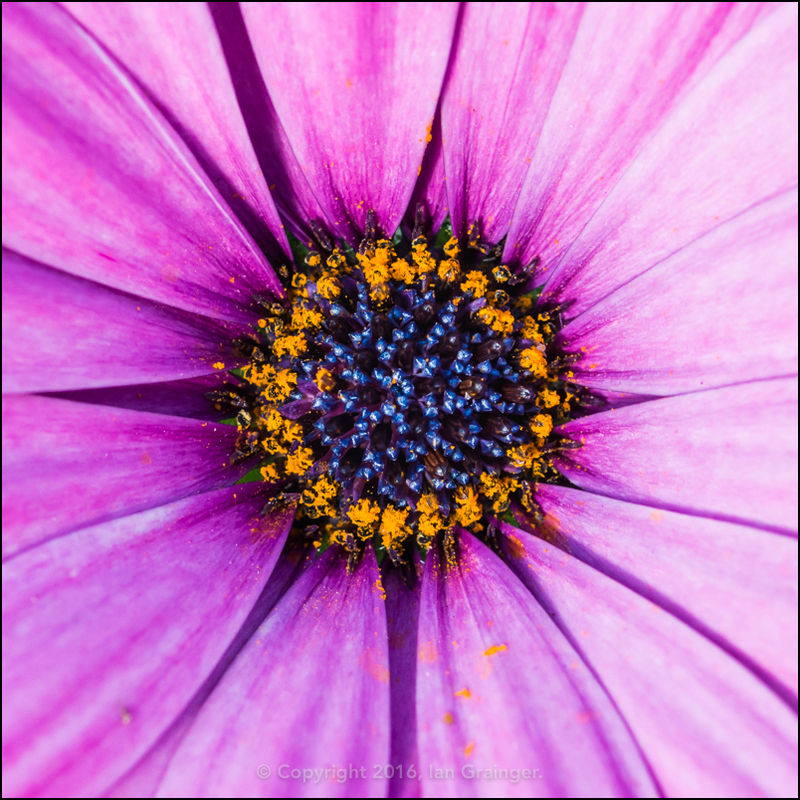 My Osteospermum blooms are still going strong, and I'm still striving to capture them perfectly. I just love their bright blue centres. 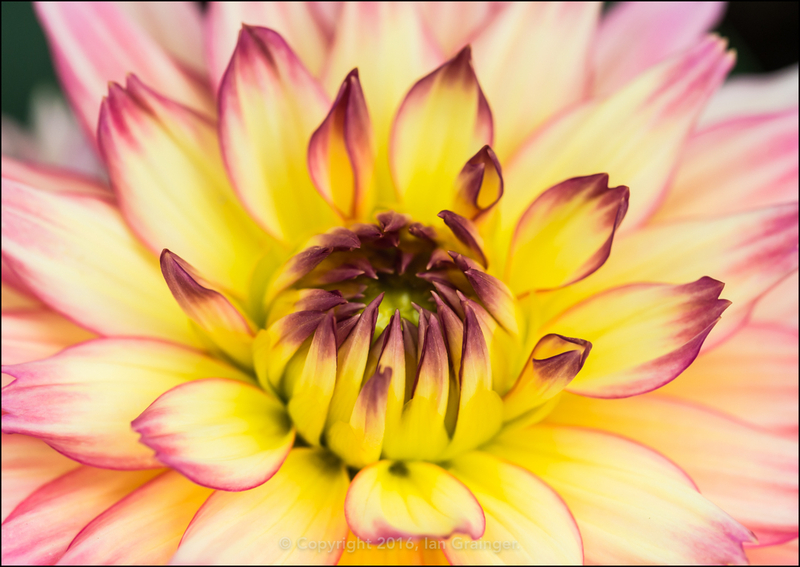 Finally, another new plant to my garden. 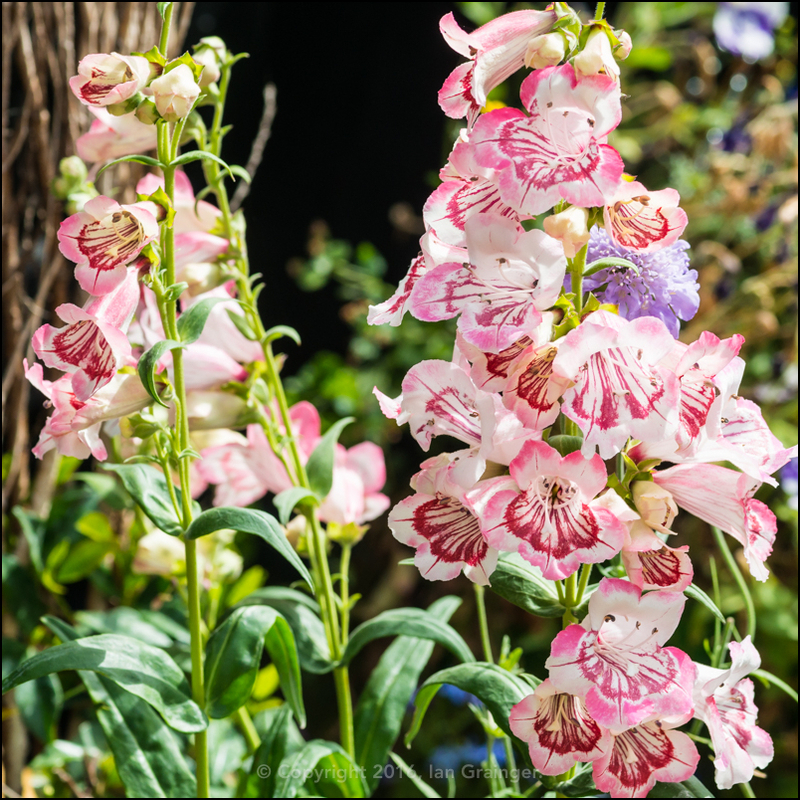 I couldn't resist Penstemon 'Hewell's Pink' when I spotted it at the garden centre. It's another real stunner.